This month's Color Challenge at The Memory Nest was so simple for me to play along with. 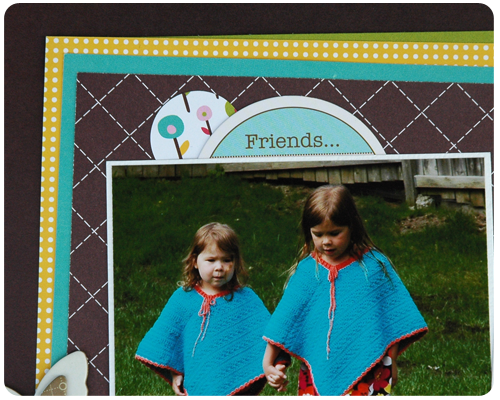 I had adorable pictures of my girls in the ponchos that I crocheted for them and the perfect paper (Craft Fair by American Crafts) on my shelf; everything came together rather beautifully to create this layout. I did a lot of layering on this layout (seems to be a trend lately - I love it), with several small embellishment clusters. Here you can really see how I layered the paper and stacked the embellishments - the journalling tag is from Jillibean Soup and the butterfly is from Pebbles. This 'Friends' tag from Jillibean Soup fit perfectly above the picture of my girls holding hands. Of course they have their moments like all siblings do, but all in all they are great friends. 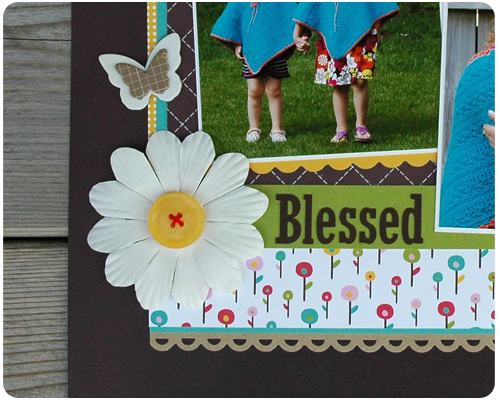 This large cluster of prettiness holds the title of this page - "Blessed". I cut the title out using my Silhouette (font: Rockwell Condensed). 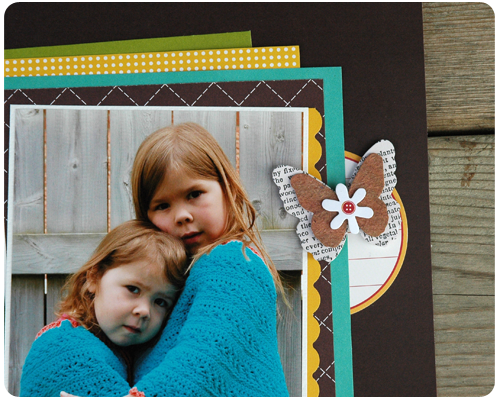 A large flower from Prima, with a button center, and some layered butterflies from Jillibean Soup add the final touches to this page. Interested in playing along with this Color Challenge? Well then head on over the The Memory Nest to see what others have done and to link up your own creation. Rachel, your girls are absolutely adorable!!!! Those pictures are just precious and I LOVE that you kept the layout simple so that the focus is on those beautiful girls. You did an amazing job on this layout. I really, really like it. The flower accent is the perfect embellishment. Thanks Michelle. This comment means a lot to me coming from such a talented scrapbooker as you. 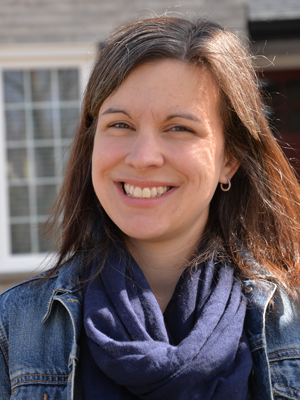 Thanks for stopping by and I will for sure be linking up to your party next week. Love the layers on this page and such cute photos. I love this layout, I wish I had the patience and taken to scrap and create like you do. Thanks for stopping by and for your lovely comment Leslie. This is a perfect palette and I love the layers you did! Lanaya, I agree the colors do work great on this layout. As for layers, I love them and can hardly create a page without layering. Thanks for reading.